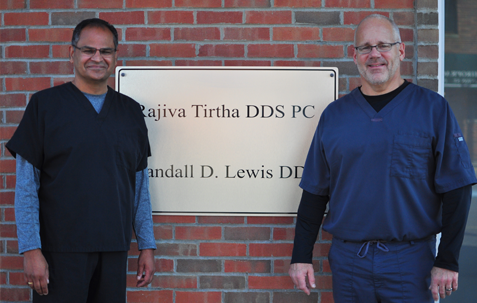 Our dental office is staffed with friendly & knowledgeable dental experts. 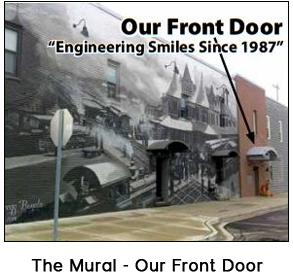 Easy to find our building is the one with the 2-story mural of the Durand Railroad scene from 1915. Our team is committed to making your visit with us as easy as possible. When you visit our office, your comfort is our top priority. We are dedicated to providing you with the personalized, gentle care that you deserve and need. Part of our commitment to serving our patients includes providing information that will help them make a more informed decision about their oral health needs. We hope that you may use this website to help you take the first step towards committing to more comfortable dental care.